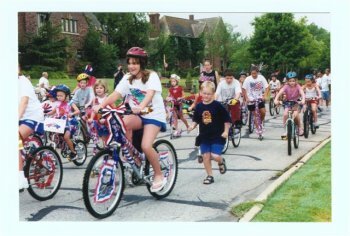 The annual Nichols Hills 4th of July Parade will be held at Kite Park. Bring all your family and friends to participate in this unique community celebration. Decorated bikes, costumes, antique and classic cars highly recommended and encouraged. The parade starts promptly at 9:00 am with participants lining up at the intersection of Bedford and Huntington. The parade will head west on Bedford to Devonshire then west to Hillcrest. It then proceeds south on Hillcrest to Camden then east to Kite Park. All the antique and classic cars need to be lined up and ready to go prior to the 8:30 start. Wiley Hugos will be glad to provide any additional information regarding the event at 755-6565.